Is there no stopping this mysterious producer? 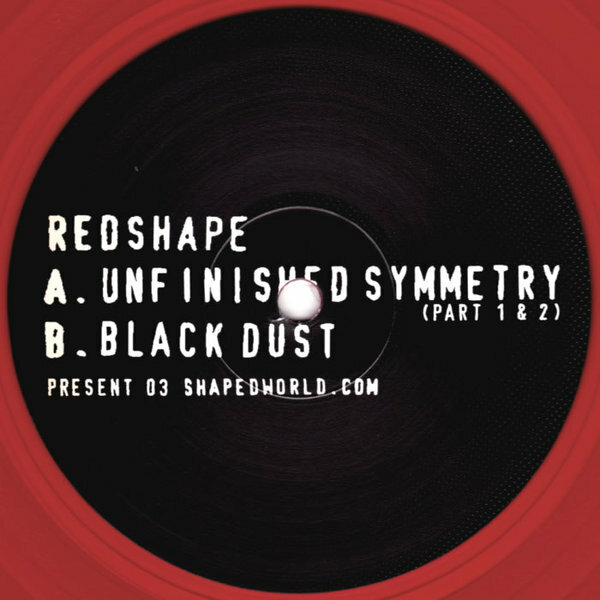 Already responsible for some of the most advanced, relentlessly clever Techno of the last 12 months and seemingly incapable of producing anything other than exceptional dancefloor DESTROYERS, Redshape now returns to his own Present imprint with possibly his finest transmission to date. "Unfinished Symmetry" on the A-side is a reduced House variation very much in the Omar S mould, and much like Carl Craig's reworking of Theo's "Falling Up" it makes use of a discordant, almost grotesque synth for its hook, luring you into its hypnotic stride with the most seductive arrangement you could possibly imagine. "Black Dust" on the flipside is even better, an absolutely SICK Chicago variation complete with heaving strings and a classic Mr Fingers style square bassline that will just overwhelm you played loud. This is the absolute sh*t, and another fleeting glimpse at the genius of Redshape.